1. Don’t talk to the individual when he/she is under the influence or intoxicated. Instead, try to approach them when they are sober or when they have not recently used. When someone is using substances, they may not be aware of what you are saying or may be more guarded than usual. 2. Refrain from blaming or criticizing the person. This will only cause the situation to escalate and will likely deter the person from opening up to you. It could also shut off future opportunities to discuss the issue with them. 3. Talk to the individual in a setting where they feel comfortable. Understand that someone may have difficulty talking about their substance use when they are surrounded by other people or in a public setting. Try to initiate the conversation in a private or semi-private location so the person feels more at ease and does not feel embarrassed or ashamed to talk about what is going on. 4. Express concern and support by using “I-statements” to initiate a conversation. Pay attention to what someone is saying by making appropriate eye contact, facing the person, and nodding your head when they’ve made a statement. If you are unsure of what they mean by something they’ve said, ask clarifying questions. This is a great way to show you are interested in what they are saying! 6. Give reassurance to the person that you care about them and want to help. 7. Communicate thoughts in a clear and concise way. When talking to someone, do your best to speak in a calm manner and keep your voice at an even tone. Do not be argumentative with the person, even if you disagree with their actions. This will only escalate the situation and may cause the person to become angry or upset. 8. Let them know that recovery is possible! Many people think that what they are feeling will last forever and may not understand that they can recover from their addiction. Let them know that there are many resources available to help them, and encourage them to seek such help if needed. 9. Understand that the person may not welcome your help at first. Substance use is a difficult topic and individuals may feel ashamed or upset with themselves. They may also feel embarrassed that someone has noticed their substance use. Realize that talking about this issue is not easy for someone. Though you may want your friend, family member, or co-worker to feel better immediately after talking with you, realize that recovery from substance use is a process. Don’t try to rush someone into feeling better again. Instead, offer them consistent support as they continue to work through their addiction. It may take several conversations or multiple referrals to services before you begin to see noticeable changes in that person. 10. Ask what you can do to help. Sometimes a simple word of kindness or checking in with someone on a regular basis can make a world of difference. 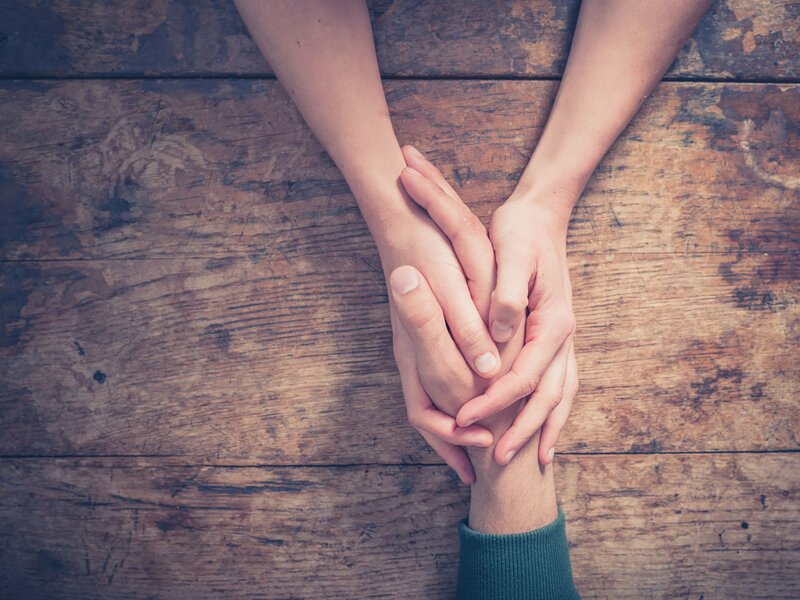 By asking, “Is there anything I can do?” or “Can you think of something I can do to help you get through this difficult time?”, you allow the person to tell you what is helpful to them. If they are not able to think of something that would be helpful, suggest going on a walk together, helping them make dinner, or simply talking on the phone. 11. Encourage professional help or self-help strategies. If someone is struggling with substance use, it could be helpful to suggest they visit their medical doctor or addiction professional. Let them know that sometimes people need to seek treatment to feel better again. Try to normalize this as much as possible. You could also suggest self-help strategies such as reading books, exercising or finding a local support group if they are not open/able to seek treatment.